With most of the activities being carried out on internet, internet surveillance has been increased where all the online activities are being tracked by the different agencies, companies, governments and even by hackers. In this regard, the VPN applications and services comes in handy that help us to mask our activities that we are doing online and can help us protecting our online identity. Thus, in order to enjoy full internet freedom, a good VPN service is a must, that is sometimes difficult to find. 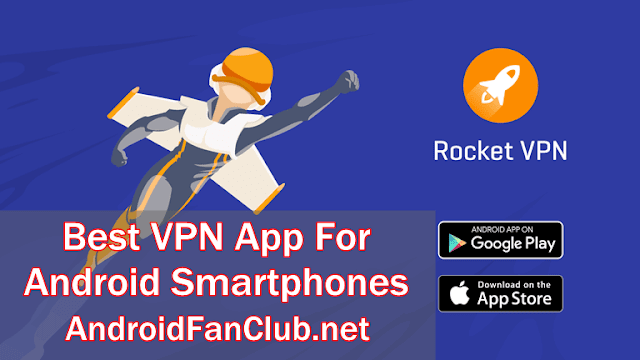 Fortunately, among the tons of useless VPN apps on the Play Store, a simple yet effective app offering plethora of amazing features is available called Rocket VPN. With no exception for Rocket VPN, all the apps developed by Liquidum limited offers amazing user interface. The app looks straightforward for all the first time users with great color transitions and unique design. All the options for your settings are available in simple language in the app, where you can easily block or unblock virtual locations. There is also a monthly data usage option on the page along with your current location. Like most VPN apps, Rocket VPN app also lets you to enjoy all the location based restricted content that has been blocked in your area. This content might include games, apps or websites. You can change your virtual location in the app and then access the services of the content you want to. Rocket VPN offers the great level of security even while you are using a public network connection. The app protects you from the third party apps to secure your online data as well as secure your online identity. Furthermore, unlike other VPN apps (Hola), Rocket VPN doesn’t share your connection with other users thereby offering full security at hand. This app offers you a quick launch app feature from which you can select your favorite apps and add on your homepage that you want to run on the go. So, simply, you have to connect the VPN service and launch the app. Moreover, this app also allows you to select 10 virtual locations from where you can access all the contents available on the internet. Provides access to contents not available in your country. Setting up this app is not that a difficult task. After downloading and installing this app, you only need to set up few things. The app would ask for permissions ad you need to select “Allow” to permit the app on your device. After that, you need to select the location from where you need to access the content, after that, tap “OK” to get started with your activated Rocket VPN.